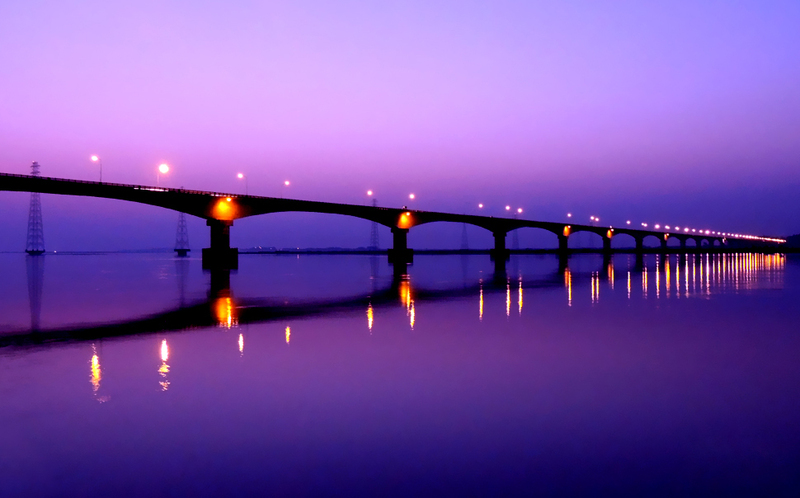 Situated on the north bank of River Brahamaputra, 196 km from Guwahati, Tezpur is an important tourist destination. Tezpur was known as Sonitpur in the olden days and is a city steeped in mythology, legend and folklore. Tezpur or the ‘city of blood’ reminds one of the romantic legend of Usha and Anirudha. It is said that Aniruddha, grandson of Lord Krishna fell in love with Usha, daughter of Banasura. When the Demon king came to know about the affair he threw Aniruddha into prison. Then Lord Krishna came to this place and a fierce battle ensued in which the whole area was drenched in blood. Hence the name Sonitpur the city of blood emerged. Bana was killed and the lovers were united for ever. The only testimony to this legend are the ruins and remains in and around Tezpur. Besides its archaeological significance, it is known for its scenic beauty with the snow capped peaks of the Himalayas and the hills of Arunachal Pradesh in the North. Situated on the banks of river Brahmaputra, this town known for its natural beauty and fascinating archaeological ruins, is the headquarters of district Sonitpur. Undulating green valleys surrounded by the lofty hills and snow-capped peaks of the Himalayas, and lush tea gardens render Tezpur a tourist’s delight. 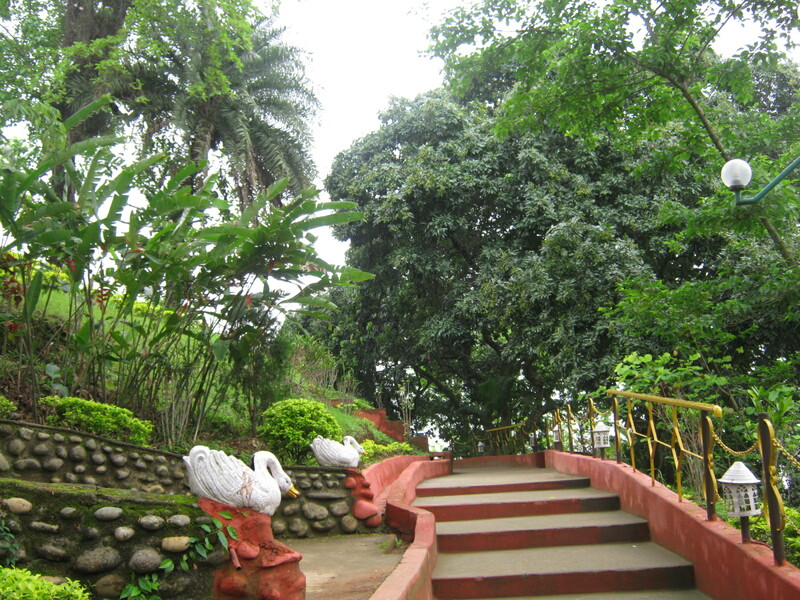 It is, undoubtedly, one of the most beautiful places in Tezpur. Established by a British Deputy Commissioner, Mr. Cole, the park has two massive ornamented stone pillars, and the sculptural remnants of the famous Bamuni Hills. This sanctuary sprawled over an area of 72 sq. km, is only 65 km from Tezpur. The animals which this area includes, are the one-horned rhinoceros, buffalo, leopard, sambhar, barking deer and tiger. Bhalukpung,60 km from Tezpur,on the road to Tawang in Arunachal Pradesh, is a charming picnic and angling spot. Other attractions of Bhalukpung are a hot spring and a huge orchid garden. This is the site of the legendary romance of princess Usha (the only daughter of king Bana) and Anirudha. Usha was imprisoned inside the palace which was surrounded by a wall of fire. The present day Agnigarh, now only a hillock facing the Brahmaputra, provides a panoramic view of the great river and Tezpur. The ruins of Bamuni Hills are famous for their exemplary artistic finesse. The sculptural remains date back to the ninth and tenth century A.D. The Bhairavi and Mahabhairab (where king Bana worshipped Mahabhairab, an incarnation of Shiva) temples and the twin tanks of Bar Pukhuri and Padum Pukhuri are the other architectural attractions of Tezpur. It is a large tank which preserves the name of Hazara Varman in Tezpur. It was excavated in the early part of the 19th century. This is the third largest tank in the area sprawled over 70 acres. Near the Jia Bhoroli river, the Nameri National Park spreads over from Assam to Aruachal Pradesh. As in Kaziranga, the best way to travel within the Park is atop elephants. There are no roads inside the park. The park is home to the Mithun or Indian bison and the rare White Winged Wood Duck, among the most endangered avian species in the world.